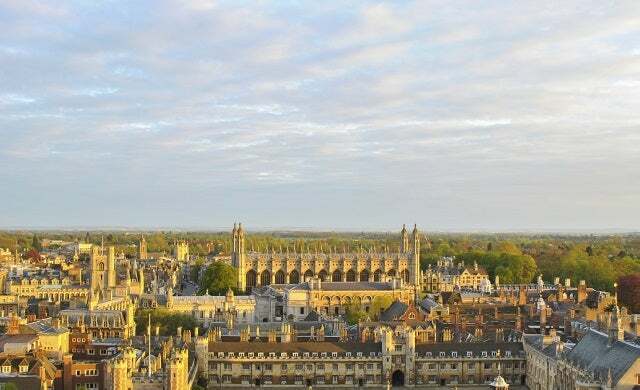 Cambridge, Oxford and Richmond upon Thames are the “most vibrant” places to live in England because they strike a good balance between economic growth, social equality and sustainability, a new index from Grant Thornton UK LLP suggests today. The accounting firm analysed 324 local authorities across England to measure which towns and cities rank highest for social and economic performance and are, ultimately, the happiest and healthiest places to live. Cambridge topped the Vibrant Economy Index as the most prosperous place to live. It scored highly for innovation and entrepreneurship with patent registration figures 10 times the national average (491.66 per 100,000 residents), and the proportion of the city’s employees working in R&D almost 11 times the national average (4.93% compared to 0.45%). The index found that efforts to focus on improving the economic performance of a place doesn’t always translate into creating a healthy, happy place to live, or one in which individuals feel socially included. So,for instance, parts of London, Birmingham, Manchester, Liverpool and Leeds – all ranked highly as top places to start a business – were found to under-perform in terms of wellbeing, happiness, equality and inclusivity. Those living in the capital, in particular, were found to be more likely to suffer from anxiety than in many other parts of England. The study also found that urban areas have the unhealthier populations therefore rural areas – such as the Suffolk Coast and Derbyshire Dales – and commuter areas – such as Hertfordshire and Surrey outside of London – tend to have happier and healthier communities. “The index demonstrates that if we want to create places that provide opportunity for all, we need to focus on more than headlines about economic prosperity. Higher employment levels or strong business growth need to translate into the creation of communities that are more inclusive and equal, where populations are healthy and happy. “While economic performance is fundamentally important to the future of the UK, we need to ensure that this prosperity can also positively impact other factors including health outcomes, housing affordability, personal wellbeing and social inclusion.